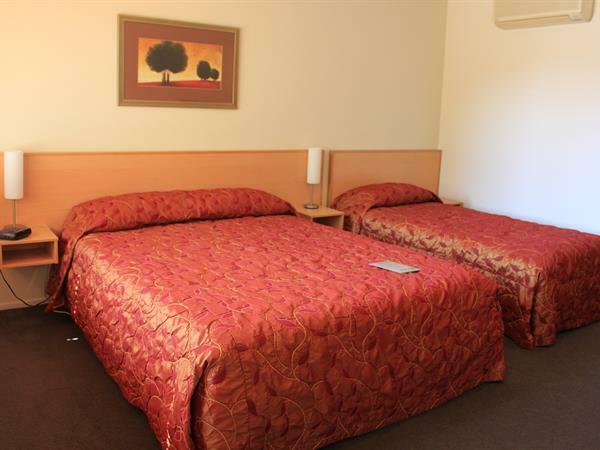 Your Twin Share Studio Unit at Harbour City Motor Inn is perfect for those travelling as friends or a family of 3. Each fully-equipped air-conditioned room is tastefully decorated with a queen-sized bed, and a single bed, full kitchen facilities, bathroom and LCD TV with Sky Guest Select 50+ Channels. Your modern kitchen includes a bench hob, microwave, refrigerator and full tea and coffee making facilities are provided. The unit is serviced daily and continental and cooked breakfasts brought to your room are part of the service Harbour City Motor Inn provides. Each Studio Unit also offers a separate shower and double spa bath. Hair dryers, irons and ironing board are supplied. We offer full laundry facilities. Complimentary filtered water, tea & coffee. Sorry, rates and availability information is not accessible for selected dates. Please contact us by email: motel@taurangaharbourcity.co.nz with your enquiry. Thank you.